Looking around, you will find many books and models about leadership. Whilst many of these models are helpful, it can also be useful to clarify your own successful leadership style. 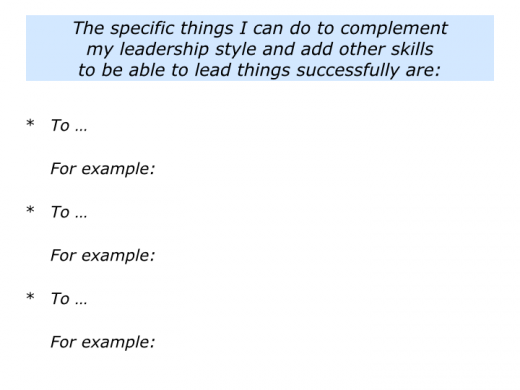 You can then complement this style with other skills in order to deliver success. 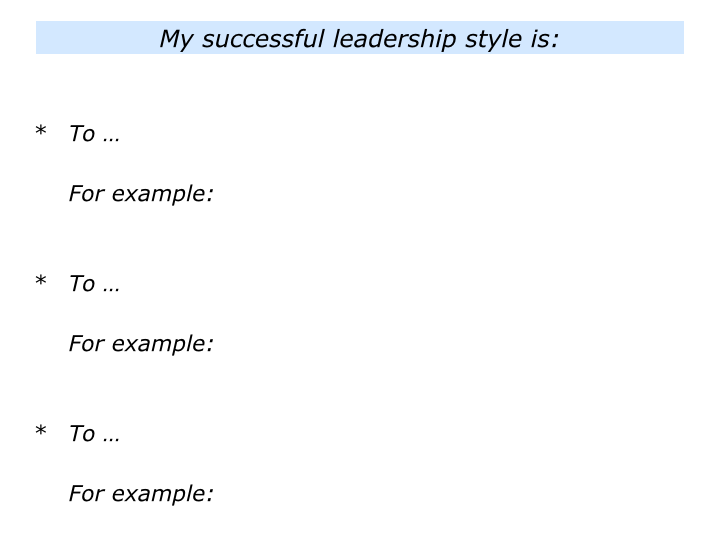 There are many different kinds of leaders. 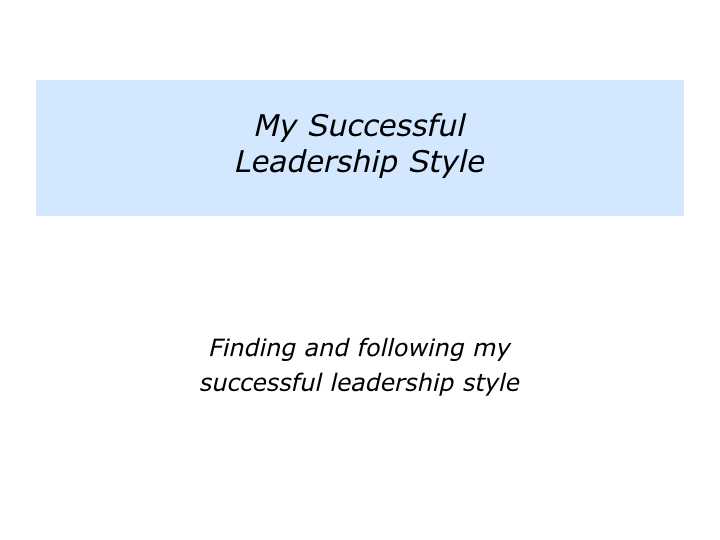 There are people leaders, creative leaders, thought leaders and other kinds of leaders. 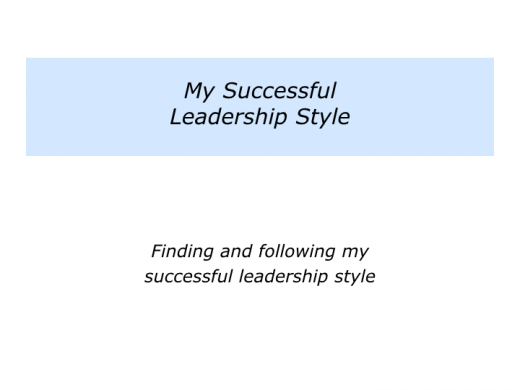 Every person has their own style of leadership. 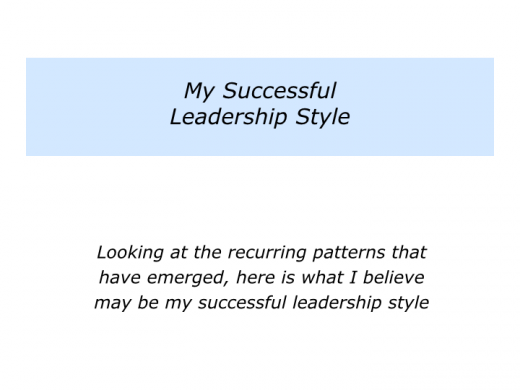 This invites you to do three things: a) To describe specific examples of when you have led things successfully; b) To describe what you did right then; c) To look for any recurring patterns and describe what may be your successful leadership style. Here is the exercise. 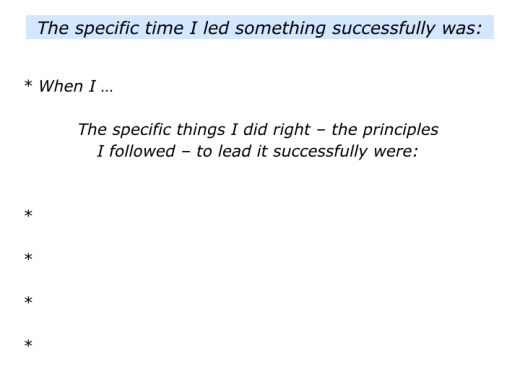 Describe specific times when you have led something successfully. Looking back at your life and work, when you have led something successfully? These could have been big or small events. They could have been personal or professional. 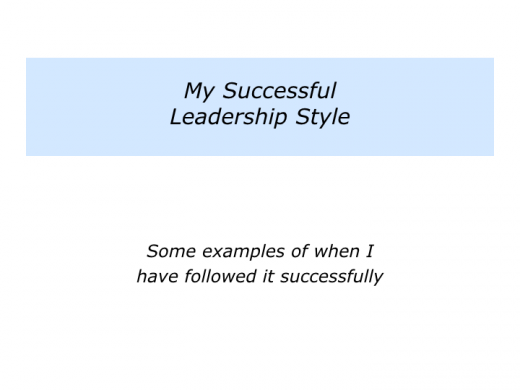 You may have been leading a specific project, an activity, a team or whatever. If possible try to think of two or three examples. Here are some that people have described. When I put together a team to solve a difficult problem for a client … When I organised my own wedding … When I organised a fun run at university. When I was captain of my country’s under 16 football team … When I led the launch of a software package … When I made a film for charity … When I created an induction programme for my company. 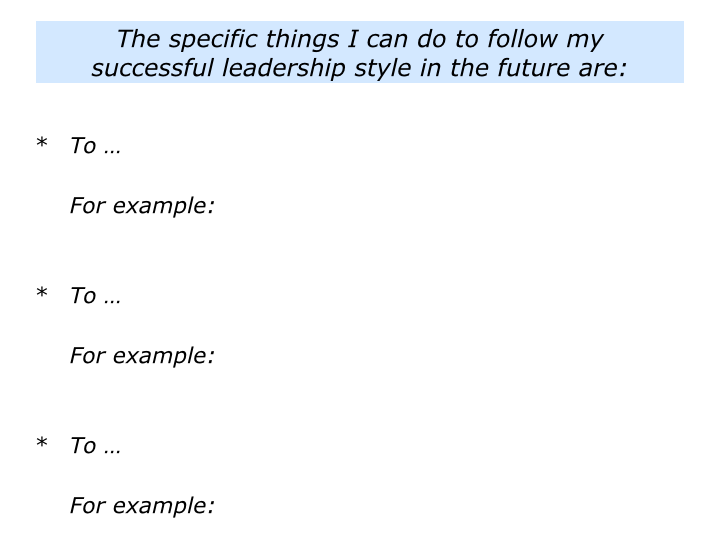 Describe what you did then – the principles you followed – to lead each of these things successfully. Some may also sound rather conceptual. If so try to bring these to life with specific examples of what you actually did. Here are some that people have described. 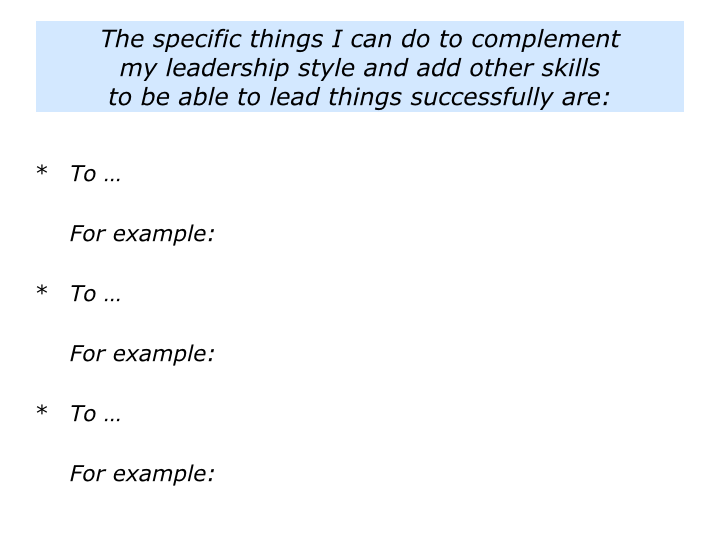 I put together a team of people who wanted to achieve the goal … I communicated to people the qualities they would need to demonstrate to reach the goal – then gave them chance to decide if they wanted to be part of it … I put people in places where they could play to their strengths. I kept my boss informed about our progress along the way … I had a team of people who were good at overcoming setbacks … I kept people’s eyes on the overall goal … I ensured that we celebrated success … I worked with the other team members to achieve the goal. So what did you do right? What were the principles you followed? How did you translate these into action? What did you – and other people – actually do? Here is the exercise. Describe your successful leadership style. One person I worked with found that their pattern was clear. He loved building prototypes. Sometimes he had done this within the company he was working in at the time. Other times he had found an employer who wanted to change the rules of the game in their particular industry. To explain the professional deal clearly to people before they joined the team – they needed to know what they could and could not expect, then decide if they wanted to join. Looking ahead, how can you follow your successful leadership style more in the future? How can you follow it by, for example, finding or doing a specific project? Another person I worked with loved to make things work. She was superb at working for founders who wanted to get the right balance between consistency and creativity in their organisation. She could understand the founder’s picture of success and implement the strategies that would make it happen. Showing respect for the knowledge workers already in a business, she also ensured people followed similar principles – albeit using their own strengths – right across the company. Few people have this skill, so she was often in demand. Bearing this in mind, she continually kept in touch with business owners she respected. There were always people who wanted her help to make sure the engine worked properly in their business. If you wish, try tackling the exercise on this theme. This invites you to describe the specific things you can do to follow your successful leadership style. Great leaders are often extremists. They are extremely good at some things and not good at others. Bearing this in mind, it can be worthwhile asking the following questions. 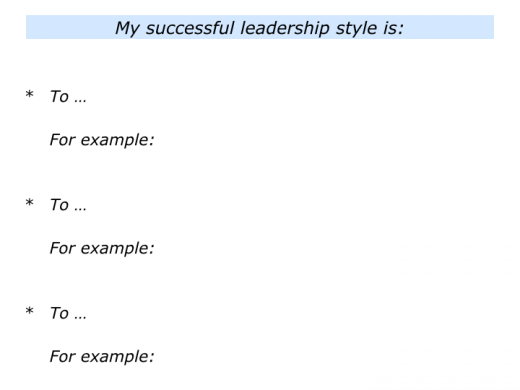 How can I build my strengths – the activities where I deliver As – as a leader? How can I manage the consequences of my weaknesses – the activities where I deliver Bs and Cs – as a leader? How can I get people who complement my strengths and compensate for the areas where I am weak as a leader? How can I add other skills that may help me to improve as a leader? 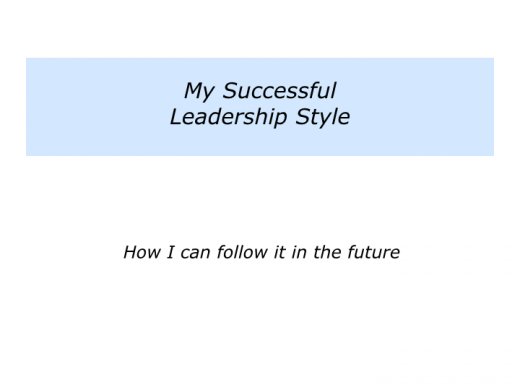 How can I continue to develop as a leader? To communicate a compelling story, strategy and picture of success. To build a positive culture that enables people to deliver peak performance. To produce superb work in the areas of strategy, sales, operations, people strategy, customer service, marketing and finance. Good leaders build leadership teams that take responsibility for overseeing the delivering of excellent work in all these areas. They recognise where they have strengths in these activities. They then add other people who will ensure the whole package is delivered. Great workers build on their successful patterns. They build on the pluses and find ways to minimise the minuses. This is particularly so in the area of leadership. If you wish, try tackling the final exercise on this theme. This invites you to describe how you can complement and add other skills to your leadership style. You can then implement these ideas on the road to achieving success.